Its your favourite time of the Month,the Amen in HD 20(Ain’t worried Edition) is served hot you and you will most definately enjoy it from start to finish. This EDition of Amen in HD 20 is crafted on Mathew 6:34. Erica Mason is the featured artist for this edition. Erica Mason is an international recording artist, who’s number one goal is to change peoples’s lives through her music. Out of Gainesville, Florida, she has been given the unique ability to influence and captivate people with her powerful stage presence and beautiful radiance. She likes to describe herself in two words, PRETTY and RADICAL. She believes that people can have individuality, personality, swag, and beauty and still be contagiously on fire for God. 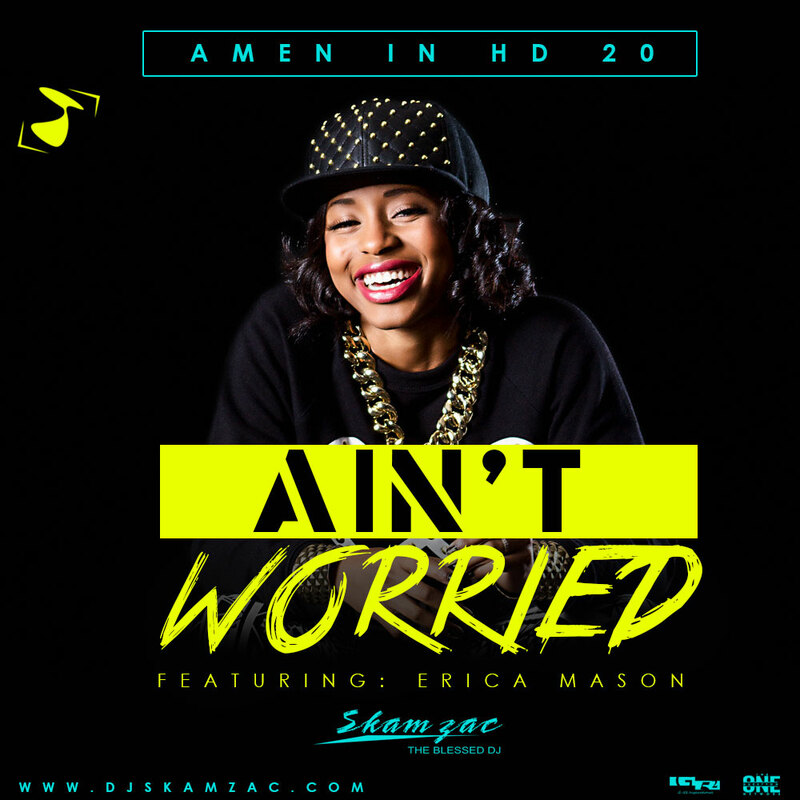 Her featured song on Amen in HD 20 is “Ain’t Worried” which she features Norman Micheal.